According to sources, the DIPP has suggested that 100 per cent FDI should be allowed in "market place model e-commerce" activities. 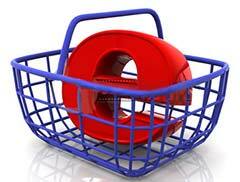 In such a model, the e-commerce company provides an online platform for buyers and a sellers. An e-commerce firm carry its business either through market place model or inventory based model. In the inventory based model, a company owns and keeps the goods in warehouses. The department has already carried out stakeholders consultations with states, e-commerce companies and other departments.